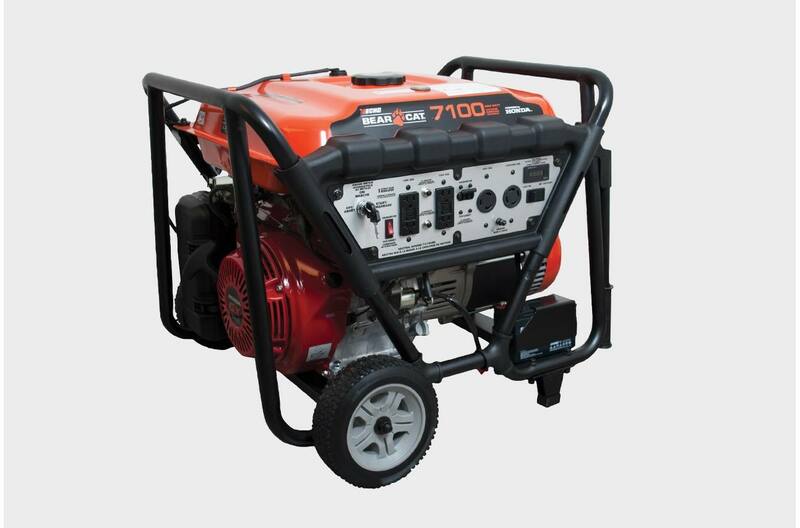 The new GN7100E generator from ECHO Bear Cat provides the power you need — from storm driven power outages to powering up the RV or camper. 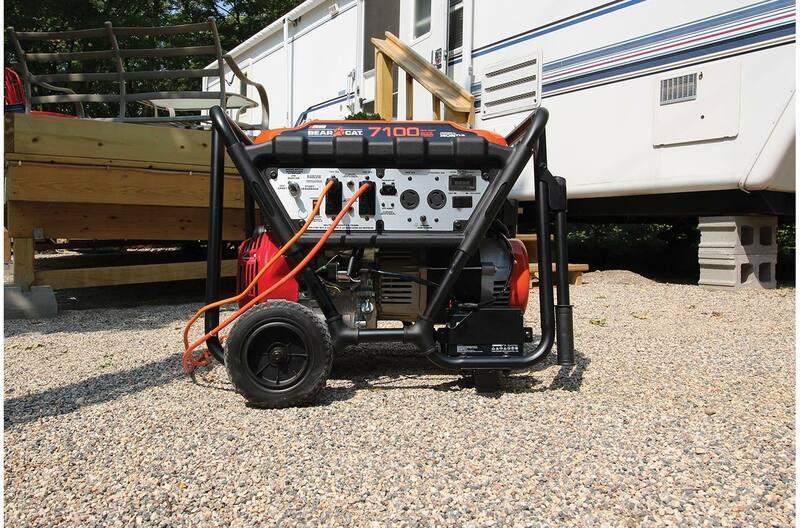 The diverse power source is specifically engineered for easy portability with built in handles and wheels. Dimensions (LxWxH): 28 in. x 29 in. x 23.5 in.